Some would say that St. Lucia is for the birds. And they’d be right! Because lovely little St. Lucia has some of the Caribbean’s best bird watching, boasting five endemic species within its lush terrain. 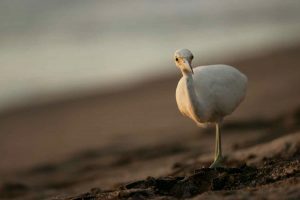 And guests at Anse Chastanet can spot as many of four of those species on our twice-weekly birding tours of Anse Mamin, the plantation and beach right next door. Bring your bird books (don’t worry, we’ll supply the binoculars) and meet Tyson or Meno for a memorable two-hour trek that’s really something to (ahem!) chirp about. Venture just a few feet into the forest and you’ll likely spot Little Blue Herons and Brown Boobies as they flit between the branches of fruit trees. Green- and Purple-Throated Caribbean hummingbirds never fail to delight as they seem to levitate over tropical blooms, their wings beating faster than the eye can register. And who can fail to be charmed by the aptly named black and yellow Bananaquits, who’ll boldly peck open packets of sugar at your breakfast table to satisfy their sweet tooth? 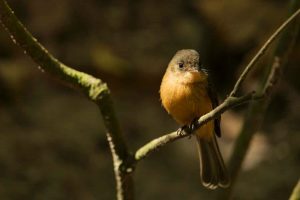 But with some luck, as the tour progresses you’ll also spot at least one of the island’s “big five” endemic birds. Perhaps it’ll be the Saint Lucia Warbler, foraging for insects amid twigs and leaves. Or the Saint Lucia Peewee, venturing from its cup-shaped nest for a morning bite. 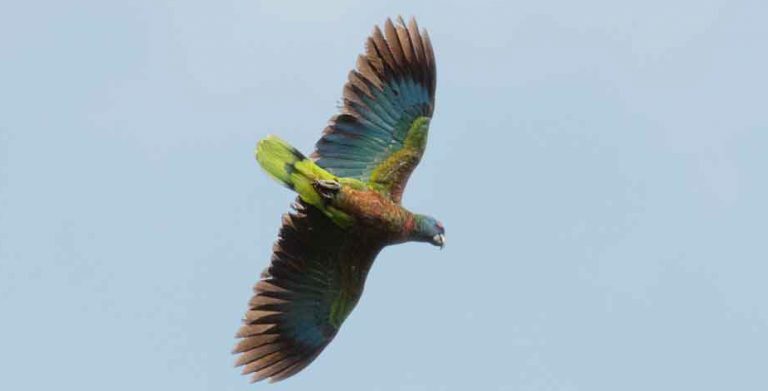 The Saint Lucia Parrot is the island’s most famous bird, but to see it you’ll have to join one of our other bird watching tours (click here), which will take you deep into the moist rainforest where it lives. 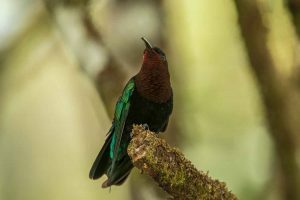 Still, with the Saint Lucia Black Finch and the Saint Lucia Oriole also making their home at Anse Mamin, there’s plenty to delight new and experienced birders. 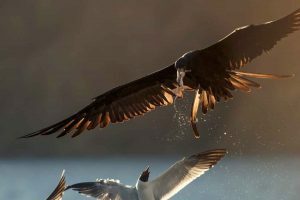 And, after you’ve returned home, we hope the next time you see a Frigate or Kestrel (two birds you’ll also find at Anse Mamin), they’ll bring back fond memories of your time in St. Lucia. And, hopefully, bring you back to Anse Chastanet very soon.